As many people have noticed, Avatar doesn’t really try to hide its stance on environmentalism. The films not so subtle message to respect the environment you live in is one many can relate to. 20th Century Fox is releasing the Avatar DVD on Earth Day. In addition to that, they are also launching a global initiative to plant 1 million new trees in 2010. Doesn’t sound like too bad of an idea, eh? Today, AVATAR director James Cameron and producer Jon Landau presented scenes from the film’s upcoming Blu-ray release, outlined the ongoing fan engagement program, and announced the global partnership between Twentieth Century Fox Home Entertainment and Earth Day Network, the international non-profit organization that coordinates Earth Day programs annually. The ultimate high definition experience for home viewing audiences, AVATAR will be available on Blu-ray and DVD everywhere in the United States and Canada on Earth Day, April 22. Internationally, the roll out begins April 21 ending May 6. An ultimate edition release with immersive bonus materials is slated for November. Connecting the two releases in April and November is “The Avatar Program,” an interactive consumer experience that offers an online hub for exclusive content, discounts and more. An action-adventure journey of self-discovery, AVATAR dramatically demonstrates how human invasion almost destroys the balance of life on the planet of Pandora. The audience passionately roots for Pandora’s survival, everyone learns that all living beings are connected and that those who seek to exploit nature rather than respect it will only destroy themselves. Taking that message of conservation and ecological harmony, the studio and Earth Day Network, together with various organizations worldwide, will pledge to plant one million trees across the globe by the end of 2010. 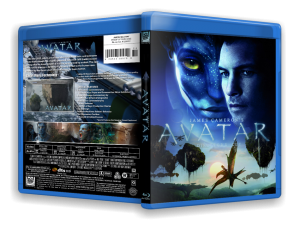 Determined to achieve the very best home entertainment presentation, the April AVATAR Blu-ray and DVD release features the film and corresponding menu, utilizing the disc’s entire storage space in order to provide the highest quality optimal picture and sound. Through a unique code found inside the AVATAR Blu-ray/DVD, consumers can register at Avatarmovie.com into “The AVATAR Program” and gain exclusive access to first-look bonus materials, special content, money saving offers and much more. Additionally, only those fans will be able to adopt one of the one million trees being planted on behalf of Earth Day and receive a virtual hometree they can locate on a map to see where it’s actually planted. Earth Day Network will spearhead the initiative and collaborate with its international partners to plant one million trees, indigenous to each region in 15 different countries, by the end of 2010. The organization is committed to caring for and nurturing the trees to maturity, as well as considering natural disasters such as fires and landslides during the planting process. Oscar® and Golden Globe® winning epic is the highest grossing film of all time, taking in over $2.6 billion in worldwide box office. Director James Cameron takes audiences to a spectacular world beyond imagination, where a reluctant hero embarks on a journey of redemption and discovery as he leads a heroic battle to save a civilization. AVATAR delivers a fully immersive cinematic experience of a new kind, where the revolutionary technology invented to make the film disappears into the emotion of the characters and the epic nature of the story.